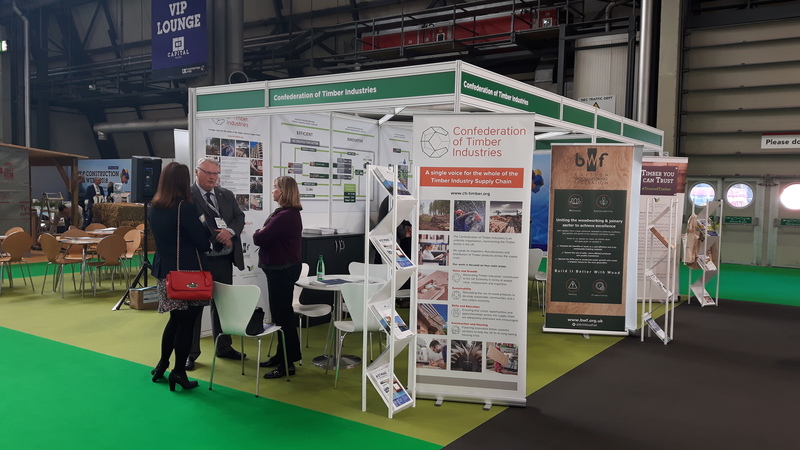 From 9 to 11 October 2018, the Confederation of Timber Industries and its partner organisations British Woodworking Federation (BWF), Structural Timber Association (STA), Timber Trade Federation (TTF) and Trussed Rafter Association (TRA) showcased the many opportunities of building with timber at Timber Expo 2018. 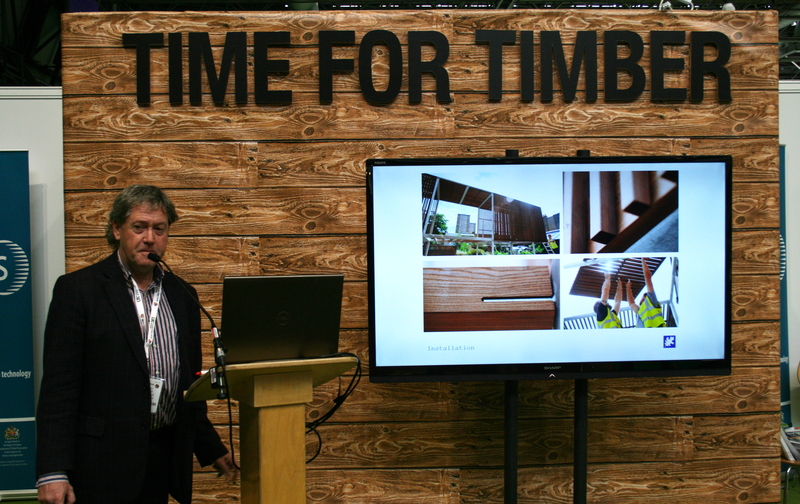 The CTI Hub aka ‘Time For Timber’ represented a benchmark for the entire show, offering a wide array of workshops, seminars and networking events. The CTI Hub’s activities opened on Tuesday 9th October with a workshop on Supply Chain Innovation for Prefabrication in the Custom Build and Community-led Housing Market by Craig White, Founding Director of White Design, Modcell Straw Technology, Coobio Circular Materials and Stramit International. 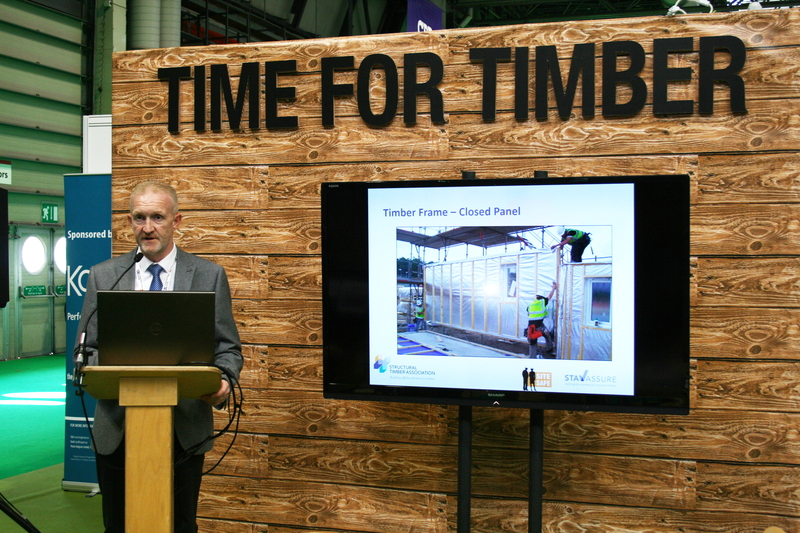 To follow, TTF Managing Director, David Hopkins, explained the Timber Training and Education Plan developed by the Timber Trade Federation (TTF), including the new TTF Training Academy and the sustainable timber procurement CPD produced in conjunction with Wood Campus. 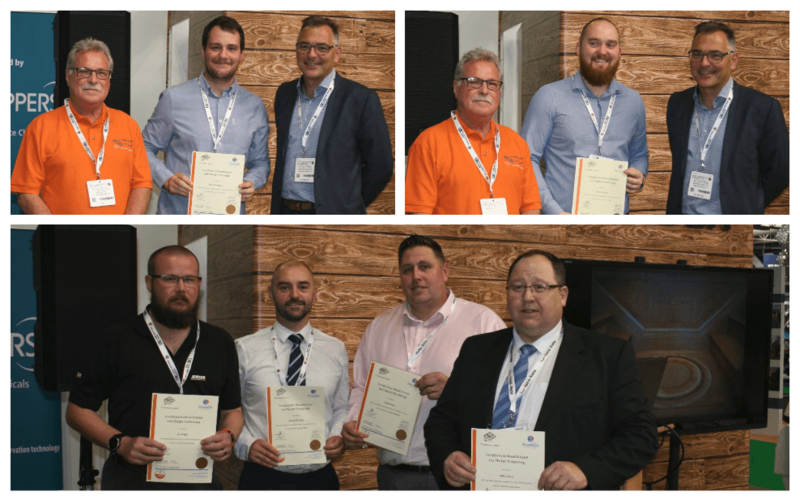 The presentation was followed by an award ceremony – organised in collaboration with TFT Woodexeperts – that honoured 9 students from TTF member companies with a Level 4 diploma in Wood Science. 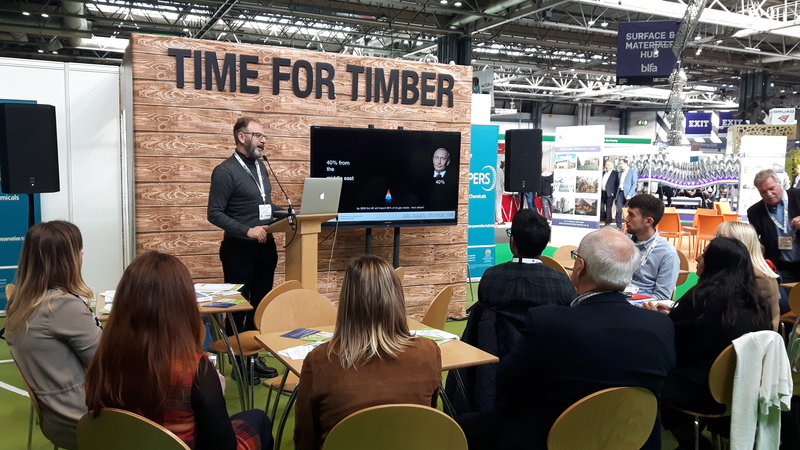 Wednesday 10th October 2018 saw a wide set of workshops taking place at the CTI Hub starting with Martin Milner, Director of Milner Associates, talking about Timber Construction & Fire Safety. 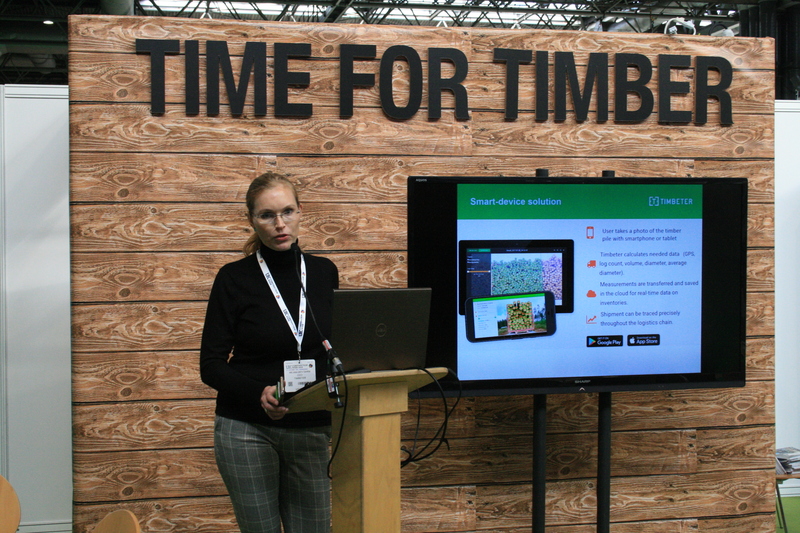 Mr Milner’s presentation was followed by the seminar Making the forest industry more profitable, sustainable and efficient through the use of digital timber measurement and data management delivered by Anna-Greta Tsahkna, Founder and Chief Commercial Officer of Timbeter, a forest tech company headquartered in Tallinn, Estonia. 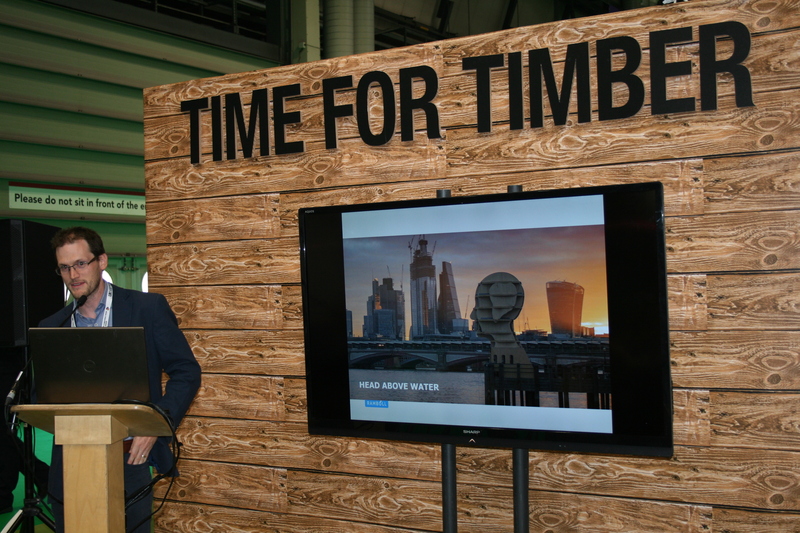 The next speaker, Adrian Campbell, an independent structural engineer and founder of the collaborative engineering practice changebuilding, focused on a key topic for the Timber Supply Chain: Can we grow the Circular Economy? 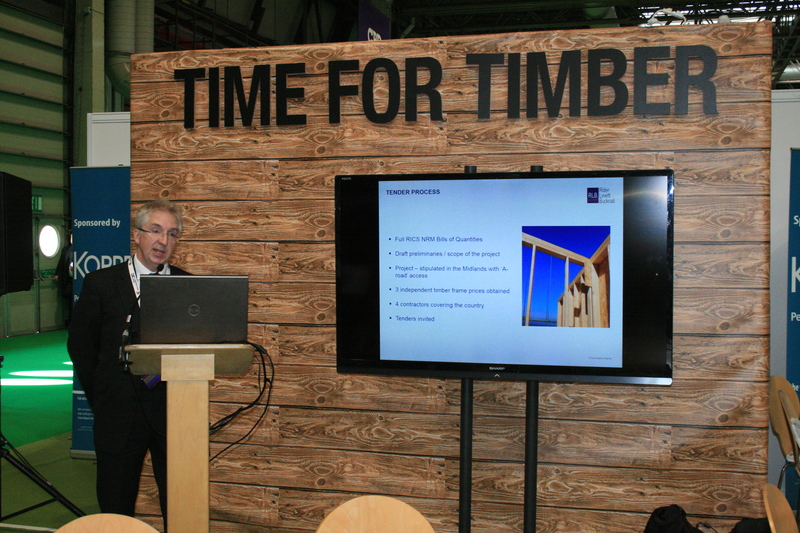 The set of presentations ended with a commercial seminar chaired by Andrew Carpenter, Chief Executive of Structural Timber Association (STA), featuring presentations from John Capper, MD of Oakworth Home; Gavin White, Structural Engineering Director at Ramboll UK and Ian Dacre, Partner at Rider Levett Bucknall. ►Gavin White – Is it time to swallow the offsite pill? 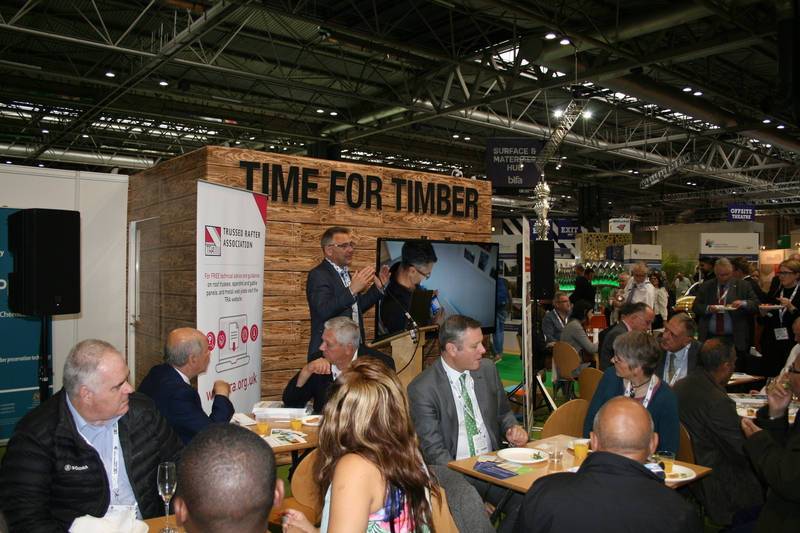 Later that evening, hundreds of construction professionals gathered at the National Conference Centre, Birmingham to celebrate the best of timber in construction with the Structural Timber Awards 2018 ceremony. 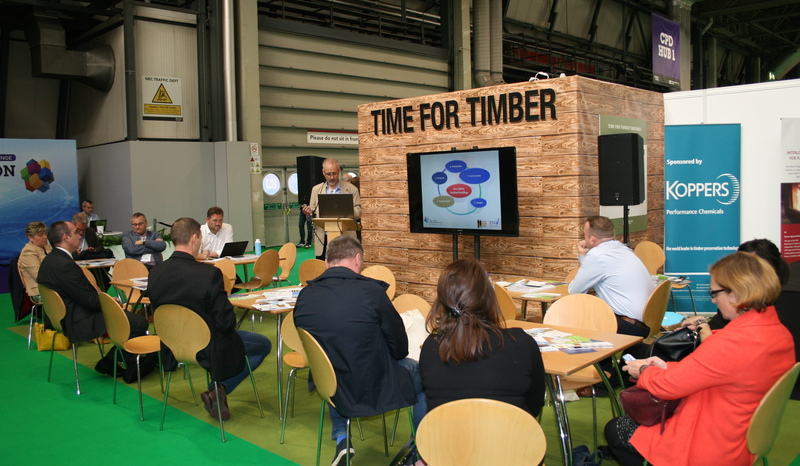 Three different seminars were scheduled at the CTI Hub for the last day of Timber Expo. 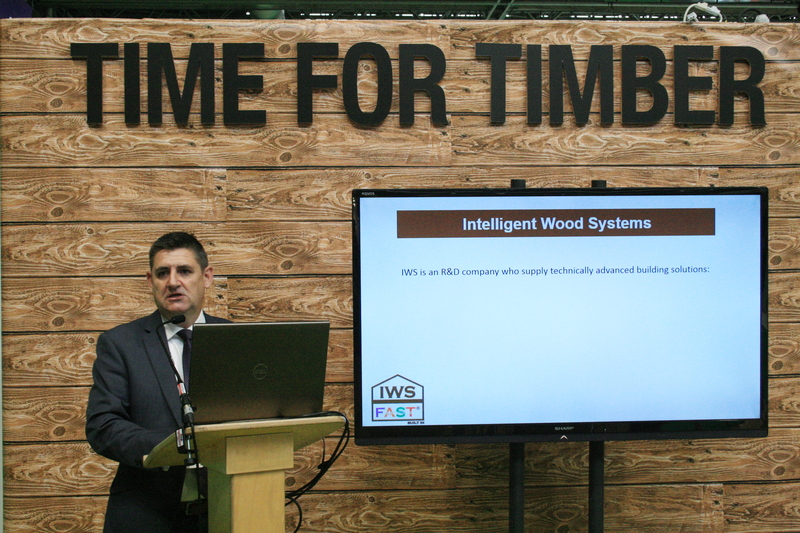 Neil Summers, Consultant to the American Hardwood Export Council (AHEC), was the first speaker of the day with a presentation focused on Innovation with Hardwoods​. 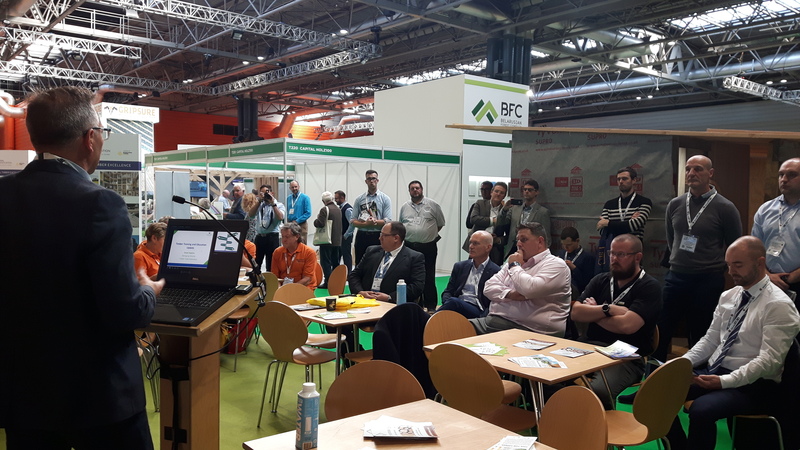 The following seminar –Research & development as a USP: product innovation using standard components – was delivered by Dave Cleverley, Managing Director of Intelligent Wood Systems Ltd. 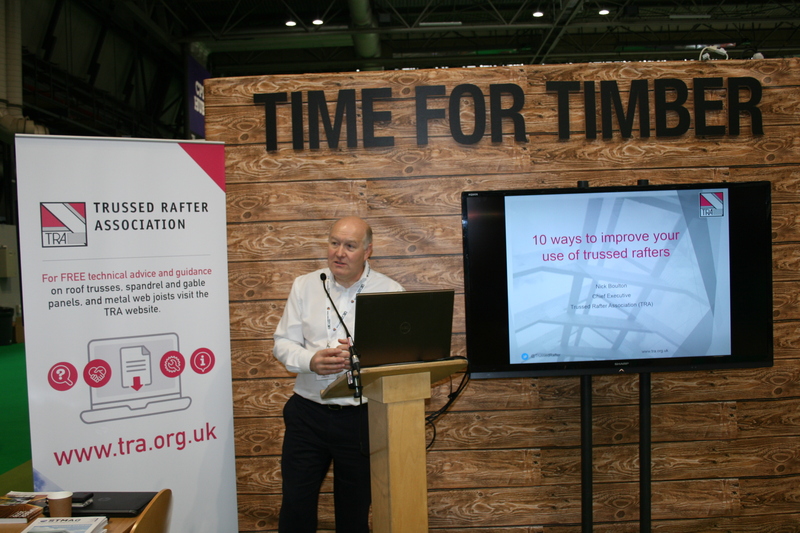 The morning workshops were completed by Nick Boulton, CEO of Trussed Rafter Association (TRA), who showed the 10 ways to improve your use of trussed rafters and metal web joists. Finally, the CTI Networking Lunch, attended by dozens of stakeholders, supporters and friends of the Confederation, represented our farewell to the show. We would like to express our sincere gratitude and appreciation for all of the hard work and dedication provided by the staff of our partner organisations BWF, STA, TTF and TRA. 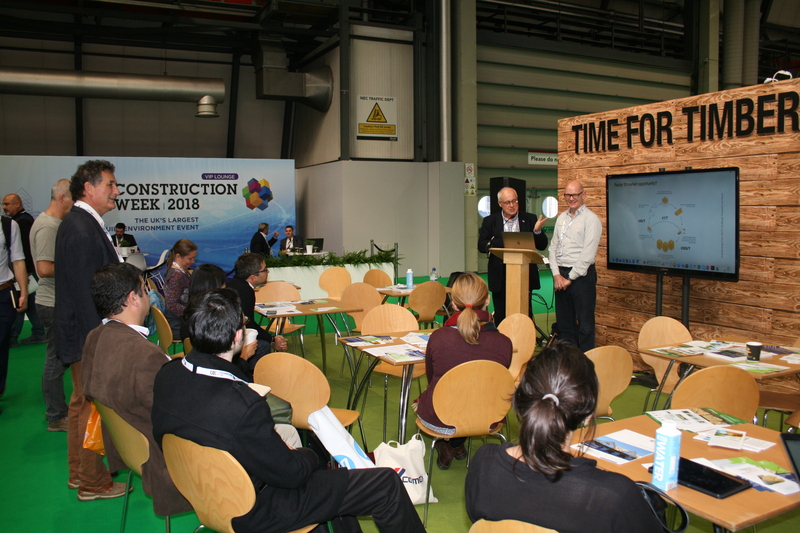 Of course, our special thanks go to all the speakers, who shared their knowledge and experience at the CTI Hub throughout the three-day event, and the many visitors who paid a visit to our stand! *The complete photo gallery of the event can be found on our Flickr account here.